Colin McLean, Registrar at IT Sligo, and Paul Gormley, Chair of ILTA, got the conference off to an inspiring start. In Ireland, like in other countries across the globe, Learning Technology is increasingly used to address some of the biggest challenges we are facing in learning and teaching: from serving a diverse, dispersed community of learners to upskilling the workforce to building strategy and policy fit for meeting the challenges ahead. The theme this year, TEL in an Age of Supercomplexity, was addressed by three keynote speakers: Prof Grainne Conole, Independent e-learning consultant/Visiting Professor Dublin City University, Prof Paul J. LeBlanc, President of Southern New Hampshire University (SNHU) and Prof Meg Benke, Empire State College’s School of Graduate Studies. In the opening keynote, Grainne explored work in Open Educational Resources including the OER Hub, OpenLearn and the Global Open Education Graduate Network at the Open University as well as different models for thinking about learning such as work by Dave Cormier on rhizomatic learning with a particular focus on how to better integrate OER in pedagogy. Under the heading ‘Education for All” Grainne also discussed a new EU strategy on education and the need for re-thinking what future generations need to prepare for the workplace. It was a wide-ranging and thought-provoking talk that shared a wealth of research at the start of two packed days. The second keynote in the afternoon was in a conversation format, in which Paul presented examples from Southern New Hampshire University that contrasted how harnessing the power of technology can support scaling up provision of training and assessment with the value of human interaction to support and guide learners, in particular learners returning to education after being in the workplace. Participants joined in the conversation and reflected on the future of employment, the increasing automation of different industries and the future of education in that context. Meanwhile, one of the break out sessions that was a real highlight of the conference for me was led by Mark Glynn (DCU), Geraldine Gray (DCU) and Lee O’Farrell (National Forum for the Enhancement of Teaching and Learning) about ORLA – Ireland’s Online Library for Learning Analytics (full abstract). One of the gaps identified by this project is the lack of practical guidance for the use of Learning Analytics including “What is Learning Analytics?”, “I have all this data; what can I do with it?” and “How can we design an effective implementation at our institution?”. Reporting from different working groups including one on data aggregation and modeling we explored questions around quality of data, data stories and making data usable as well as ethical implications. With a focus on CPD, another really interesting session was about Adopting a Non Traditional Model of Continuing Professional Development, presented by Tracey McKillen (University of Limerick). The session discussed the 12 Apps of Christmas initiative which was run for staff in December 2016 at the University of Limerick into an Hour of Code event related to the mobile app was incorporated into the 12 Apps course at the midpoint. It was interesting to see feedback from staff and the course leaders. With any learning technology conference it is always interesting to see different approaches to supporting learning. There are some interesting nuances with terminology, for example, in work presented by Dublin City University (DCU) they refer to their work with ePortfolios as ‘Learning Portfolios’, talking to one of the exhibitors they are now talking about ‘Lecture Recording’ rather that ‘Lecture Capture’. There were also interesting approaches in the tools to support learning. Chris Meudec (IT Carlow) presented the work (see slides) he has undertaken using a Google Doc as a key classroom resource, updating it with class announcements and assignments and allowing students an opportunity to discuss and see previous discussions with the comments feature (an example). 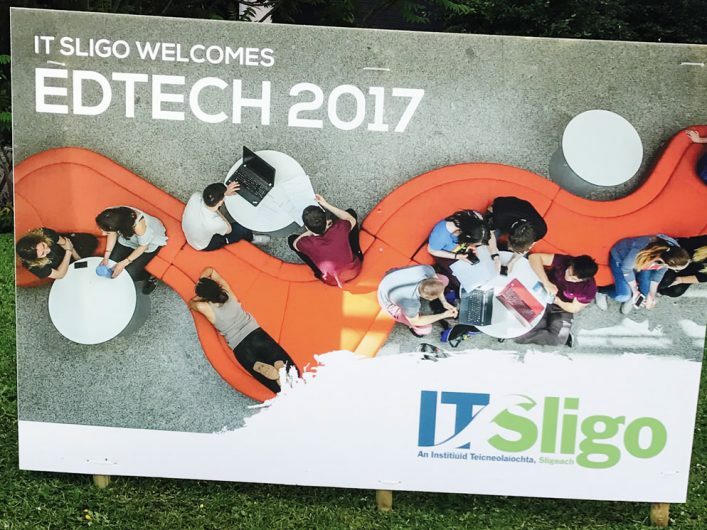 We enjoyed listening to all the inspiring talks in Sligo, and also contributed through short talks and working in partnership with ILTA. On the first day Maren Deepwell presented a short talk on ‘Promoting equality in Learning Technology through openness’ (slides) using examples including ALT Members Groups, the femedtech network and the voices of the OER17 conference. One day two, Martin Hawksey gave a short talk on ‘Making the complex less complicated: An introduction to social network analysis’ (slides/post) introducing network analysis and enabling delegates to understand the underlying structure of the graph as well as some of the tools that can be used to construct them. In partnership with Paul Gormley, Chair of ILTA, we also announced a new joint CMALT initiative between ILTA and ALT to evaluate the CMALT programme in terms of personal professional development and appropriateness for the Irish TEL community. 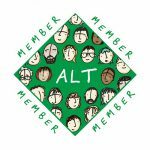 We are looking forward to welcoming colleagues from ILTA to ALT’s forthcoming Annual Conference, with the theme “Beyond islands of innovation – how Learning Technology became the new norm(al)” in Liverpool in September. 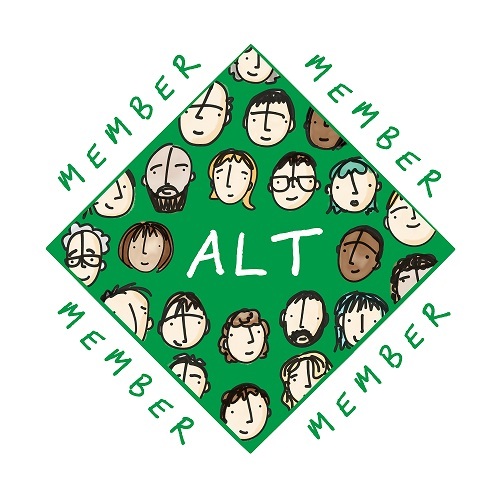 For more information about the conference, go to https://altc.alt.ac.uk/2017/.